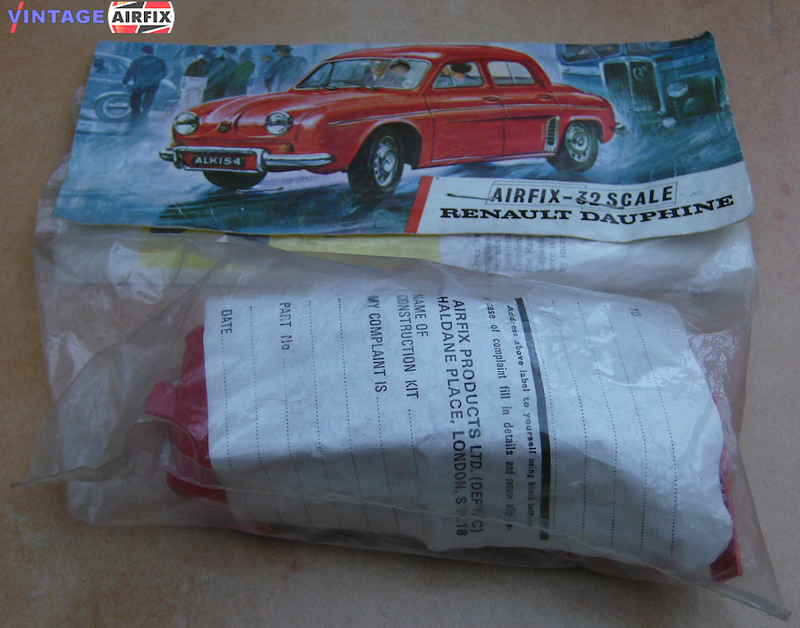 Consisting of forty-four separate parts which include window transparencies plus a selection of number plates, the Airfix Construction kit of the Renault Dauphine makes into an impressive looking 4 3/4 inch model. Interior details include seats, steering wheel and steering column dip-switch control and dashboard. The model can be completed with free running wheels. The full colour illustration on the instruction sheet suggests only one of the many colour variations with which this model can be finished.